By presenting the pathophysiological changes in intestinal absorption following intestinal resection, the basis for pharmacological improvement of bowel function and adaptation is provided. 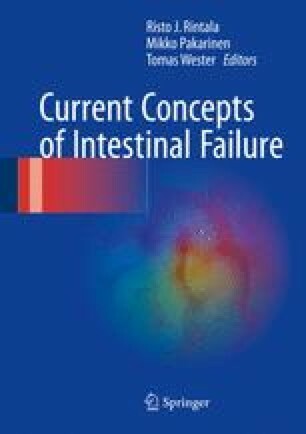 In this chapter, the patient and treatment effect heterogeneity regarding conventional pharmacological and newer mediators of intestinal adaptation in short bowel syndrome (SBS) patients is presented. The more frequent use of metabolic balance studies to document treatment effects is advocated in the clinical setting in order to ensure the long-term clinical efficacy in the individual patients. Centres prescribing the newer hormonal mediators of intestinal adaptation should have the ability and the facilities to objectively evaluate and balance the benefit and clinical meaningfulness of the interventions versus the inconveniences, adverse effects, potential risks and cost.